Poitou-Charentes is now part of Nouvelle Aquitaine, one of 13 new regions created by the territorial reform that took effect on January 1, 2016. Poitiers is the administrative centre or préfecture. Poitou-Charentes is bounded by the Loire to the north, Limousin to the east, Aquitaine to the south and the Atlantic Ocean to the west. It therefore benefits from strong oceanic influences that produce a very pleasant climate. Its littoral is blessed with a micro-climate and ranks as one of the sunniest areas along the Atlantic. It extends over 400 km from Baie de l'Aiguillon to the estuary of the Gironde, and is mainly dedicated to tourism and maritime activities. Winters are mild, springs and autumns cool and summer pleasantly warm. Even rainfalls paired with 2,400 sunshine hours per year produce a green countryside propitious to agriculture and wine and liqueur production (Cognac). The climate, however, turns continental as you progress inland. The region's north and center are dedicated to cattle breeding, and the center to cereal crops. Poitou-Charentes is also a wooded land and boasts 370,000-hectare of forests accounting for 15% of its area. Poitou-Charentes was once part of the Aquitania, a vast area bounded by the Atlantic and the Pyrénées. The Picts inhabited modern day Poitou and left it their name. The Romans conquered Aquitania in 56BC and created the Provincia Aquitania. The Visigoths invaded it in 418AD. Poitou became a French region in the late 5th century when Clovis, King of the Franks, conquered Gaul and founded the Kingdom of France. However, Eleanore of Aquitaine changed the region's history when she married Henry Plantagenet, as she brought him Aquitaine in her dowry. Poitou thus became English in 1152, when Henry was crowned as Henry II. It eventually returned to the Crown of France in 1416. Historic Poitou became a province at the French Revolution and included the departments of Vienne, Deux-Sèvres and Vendée. It was one of the centres of Calvinism during the 17th and 18th centuries. Many Huguenots, however, exiled to Canada during the Wars of Religion. Many of these Acadians were expelled from Canada by the British in the 18th century. They then settled in Louisiana, where they became known as Cajuns. 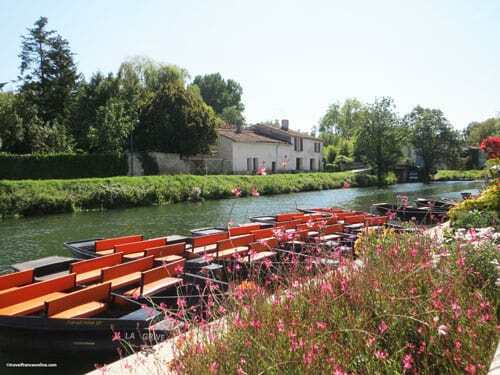 The Parc Naturel Regional du Marais Poitevin or Venise Verte - Green Venice is one of the Poitou-Charentes' landmarks. The sea that covered the area during the Jurassic left a vast marshy area as it withdrew. This marsh or Marais was drained and landscaped in the Middle Ages. The other nature reserves include Pinail, Lilleau des Niges, Moeze and les Iles du Pont. Poitou-Charentes is also renowned for its islands, such as the Ile de Ré and its 100km of beaches. Locals called L'Ile d'Oléron La Lumineuse - The Luminous. It is also the second largest French island and the home to the delicious Marenne oysters. Poitiers, the capital of the historic Poitou, gave its name to the battle where Charles Martel defeated the Moors in 732AD. 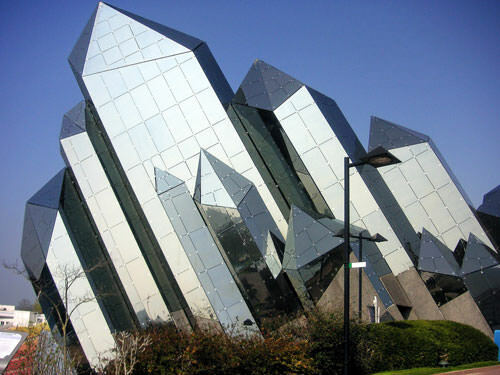 The modern day city is renowned not only for its rich historical heritage but also for its Futuroscope. Beautiful cities, fortified ports, former military forts and seaside resorts line the coastline. You'll therefore find La Rochelle, the port of Brouage or Fort Boyard off the Ile d'Oléron. Royan has been a fashionable seaside resort since the Belle Epoque. Once there, take the opportunity to visit the Zoo de la Palmyre, one of Europe's largest. Cognac, inland, is worldwide known for the quality of its liqueur. Finally, you'll be seduced by Angoulême, Niort, Saintes and Rochefort, a former arsenal built for the French Royal Navy in the 17th century.